Your insurance agency throughout West Virginia in Crab Orchard, Charleston, Beckley, Princeton and Lewisburg. Being independent means that our priority is you—not the insurance company. We represent many different insurance companies offering a wide variety of coverage options and price points. Customer service is our main goal which is why we offer 24/7 support with texting, email and Facebook. We also make payments easy – offering options to pay in person, through text/email and over the phone. Our clients and our community are of the utmost importance to us and we are proud to be a part of many events and charities in our community. Our clients are like family and their financial security and quality of life are important to us. 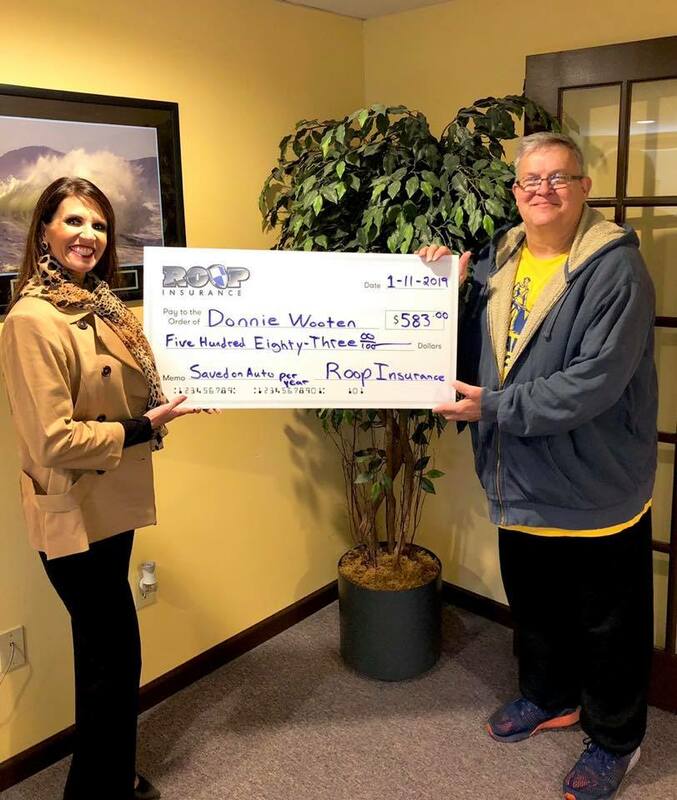 When a new client joins the Roop Insurance and Financial Services family, we oftentimes take a picture of them holding a giant check with their savings! 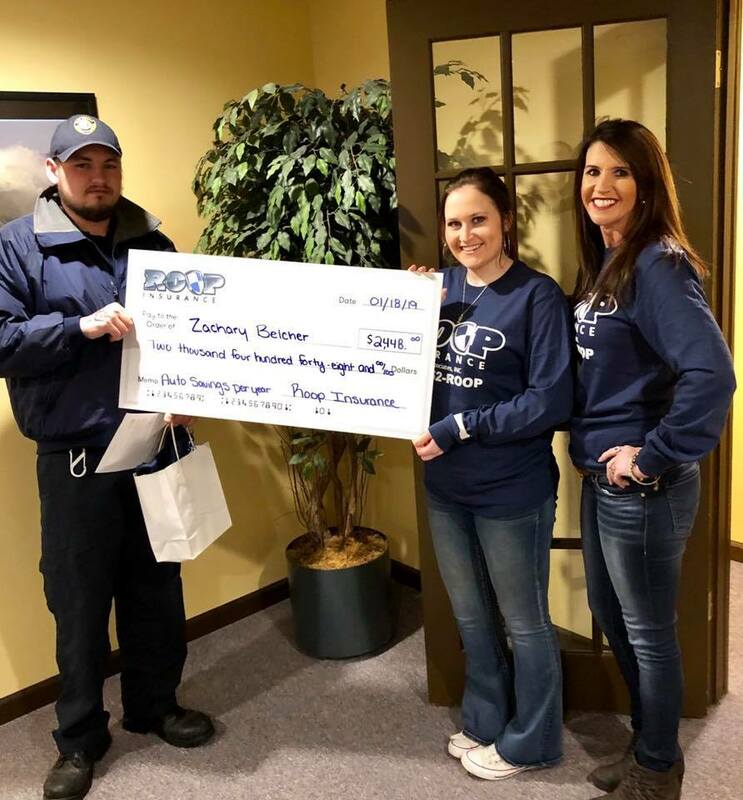 Savings and top notch service – that’s the Roop Insurance and Financial Services way! Insurance throughout West Virginia in Crab Orchard, Charleston, Beckley, Princeton and Lewisburg. Roop Insurance and Financial Services offers personal insurance and business insurance. Roop Insurance and Financial Services offers comprehensive insurance solutions. When our clients save big, we want to share it with the world. Like us on Facebook to keep up with the hundreds of clients who have saved thousands by letting us write them a new insurance policy.